JapanesePod101 Review: Is It Worth Your Money? The Ultimate Genki Textbook Review: Is It Any Good? Kodansha Kanji Learner’s Course Review: Is It A Waste of Time? How Much Do English Teaching Expats Make? Huh? 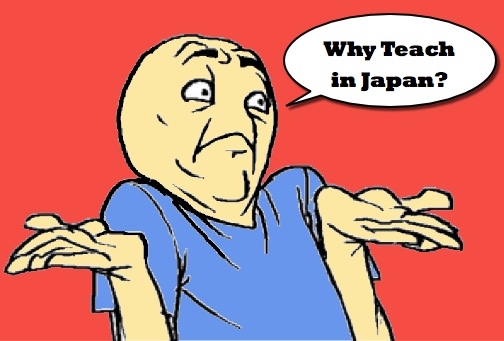 Japanese Kids Clean Their Classrooms?!? 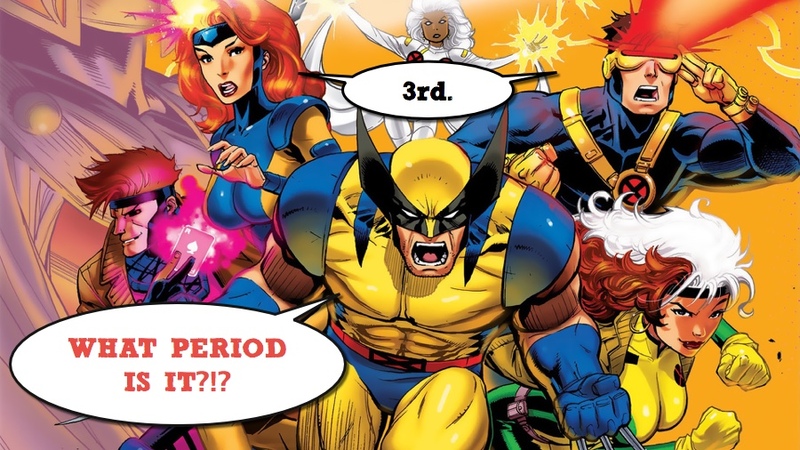 Which of These 10 Teaching Superpowers Do You Have? I was making my “Wonder Goo” run the other day, it’s this super store with video games, DVDs, books, and all kinds of other cool stuff. As I was walking through the store, being the nerd boy that I am, I stopped because I saw a cool-looking X-Men First Class, DVD display. I watched some of the scenes and thought about how much I enjoyed the movie when I saw it in the theater. 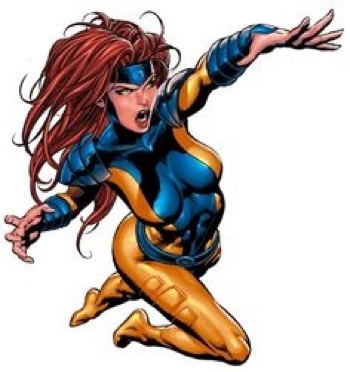 It’s superhero movies like those that take me back to my old comic book days. My brain started making weird connections it always does. What if there were teaching superpowers? 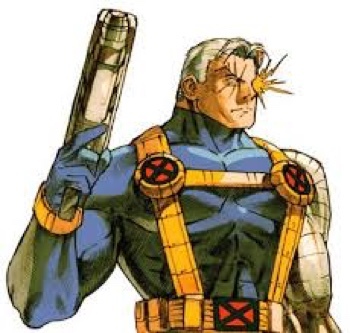 Instantly, my brain flashed back to those 1990’s X-Men cartoons that I used to watch every Saturday morning. 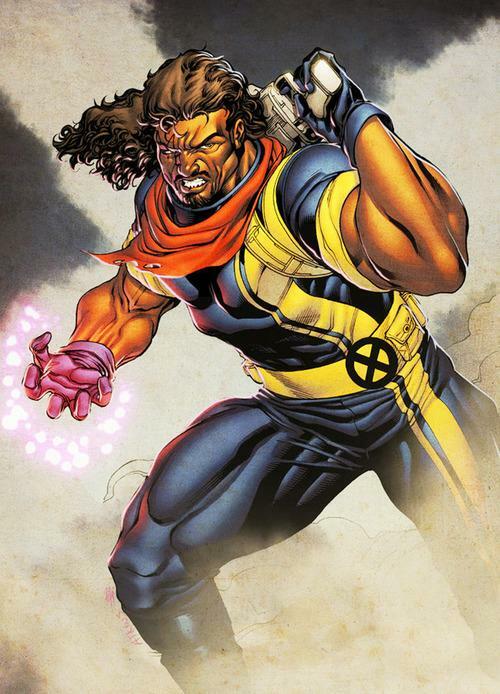 I started thinking about one X-Man in particular, a lesser-known, but awesome character named Bishop. 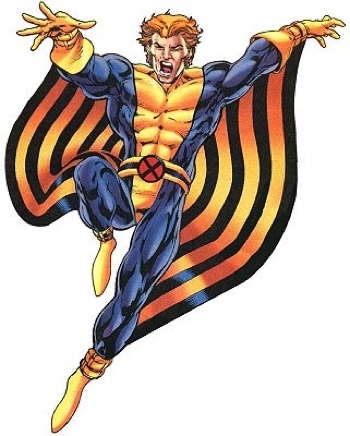 For those of you who may be comic-book averse, Bishop was this guy that could absorb energy that was projected at him and fire it back, more forcefully of course, at his enemies. For some reason, I thought, what if Bishop were a teacher? I think he’d be pretty awesome. I’m only guessing, but I think if he were in a room full of high-energy elementary schoolers, who really wanted to learn??? His class would be incredible! Over-the-top maybe, but incredible nonetheless. I do think teachers who’ve been doing their jobs long enough do have something akin to superpowers. They’ve honed their teaching abilities and gotten their “Teachy Senses” tingling so well that they’ve become superheroes in the classroom. There are teachers that just always seem to be one step ahead of you. They catch you before you even think about acting up, they know when you’re having a hard time at home, they just seem to be inside your head all the time. Perhaps it’s no accident. Some teachers just have a this knack for getting their classes to do EXACTLY what they want them to do. It’s a rare skill, but an invaluable one to have in the classroom. 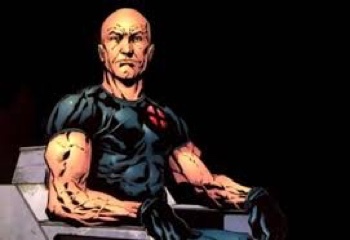 The Greatest superhero teacher with mind powers in the comic ﻿book﻿ world: Charles Xavier, better known as professor X. Yes, I know I mentioned it earlier, but it HAS TO be in this list because it's my personal favorite. A teacher with this power can literally take the energy a class is giving them and redirect it with even more intensity. Can you imagine absorbing all the energy a group of second graders gives you and giving it back to them at like twice the intensity?!? Your class would be like teaching English (or whatever subject you teach) on speed! That’d be quite the Open House for parents to see. Used wisely, this power would make you a teacher like no other. Ever see one of the teachers that seems like THEY need ﻿﻿the﻿﻿ Ritalin? These teachers have an odd way of getting through to even the most rambunctious children. If you have this superpower what superhero are you most like? 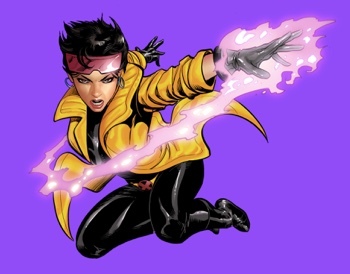 Good ol' Jubilation Lee ﻿aka﻿ Jubilee. Make kids move without even touching them. I’ve actually made this into a funny game with my students. If I want them to move, and they’re not moving, I actually pretend like I’m straining to use the last bit of telekinetic energy that I have in my fingers to move ﻿﻿them﻿﻿ from one spot in the room to another. I’ve seen this before, there’s a teacher that has this ice-cold stare that that seems to freeze your soul still. You’re afraid of doing anything wrong in class out of the fear of being iced to death. 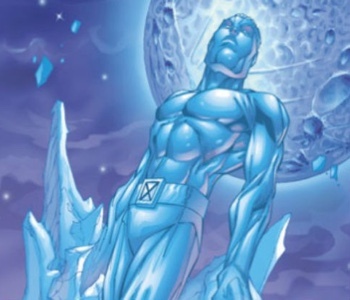 If you have this power, you are the Iceman of teaching staff. Similar to the power above. Metal face powers, are when a teacher has a face that’s like a sheet of steel. 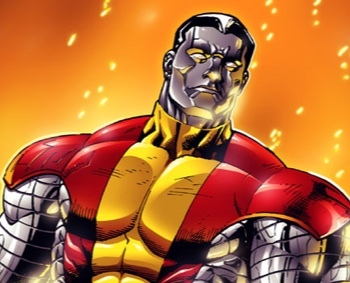 If this is your power, you’re Colossus, as he is able to turn his entire body (including his face) into metal at will. I try to do this one but it’s not always easy. Some teachers can put up with cut-ups, bad behavior, pranks, disrespect, and the like, without EVER losing their cool. 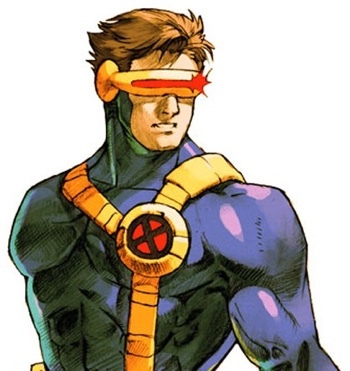 If this is you, you’re like the level-headed leader of the X-men, Cyclops. Have you ever had any teachers that were just “Banshee loud”? Even if the class is using their peak “outside voices,” this teacher’s booming voice, or ear-piercing whistle always overpowers the class. Sometimes painful on the ears, this power can be EXTREMELY effective in a hubbub of hellions. You're that teacher that nobody wants to cross! Even the most thugged-out student wouldn't consider raising a hand to this teacher. Even the principal and staff will approach you with calmest, possible language. While deep down you may be a caring teacher, your exterior demanor screams "don't even think about it." 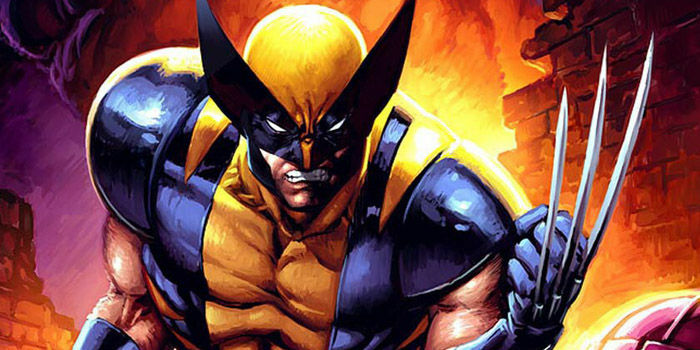 Your the rebel with a cause, the thick-skinned (and adamantium-skeletoned) Wolverine. Tell us in the comments section ﻿below﻿! * Not a teacher? Then what abilities/powers ﻿would﻿ be the best ones to have in the classroom? *Today’s post reminds me of a joke I once made with a fellow teacher. This teacher said she was feeling a little tired lately after teaching her lessons. Being the guy that I am, I wanted to give her some useful advice. I told her that she should stroll through the class, and while teaching at the back of the room, take one of her cutest, genkiest, little, bite-sized kids and pop him/her in her mouth like a snack. Of course she didn’t do it, at least I hope not. That’d be the creepiest superpower ever. Donald Ash is an Atlanta, Georgia-born, American expat who has been living in a Japanese time warp for the last ten years. While in that time warp, he discovered that he absolutely loves writing, blogging, and sharing. Donald is the creator of thejapanguy.com blog. Wanna know more about this guy? Check out his "What's Your Story" page.